The large cap stock has fallen after six days of consecutive gains and opened at a loss of 5.21% on BSE. It has lost 44% since the beginning of his year and 41% during the last one year. The Bharti Airtel stock fell in early trade today after Moody's Investors Service placed the telco's rating on review for downgrade, following low levels of profitability and expectation of weak cash flow. At 10:25 am, the Bharti Airtel stock was trading 2.84% lower at 297.25 on the BSE. The stock fell up to 5.21% or 16 points to 290 level on the BSE. It was the top Sensex and Nifty loser in trade today. 24 of 31 brokerages rate the stock "buy" or 'outperform', five "hold" and two "underperform, according to analysts' recommendations tracked by Reuters. 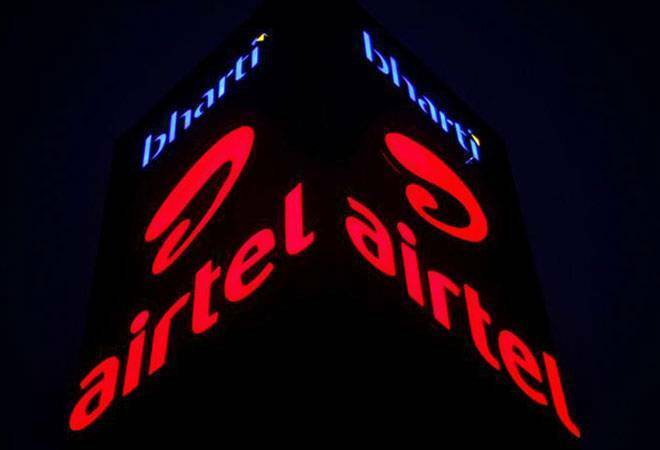 Moody's has placed on review for downgrade the 'Baa3' issuer and senior unsecured rating of Bharti Airtel and the ratings on the backed senior unsecured notes issued by Bharti's wholly-owned subsidiary, Bharti Airtel International (Netherlands) B V, the US-based agency said. "The review for downgrade is primarily driven by our expectation that Bharti's cash flow generation will remain weak and leverage elevated," Moody's VP and Senior Credit Officer Annalisa DiChiara said. The telecom operator recently reported a fall in its profit for the tenth straight quarter. The Sunil Mittal-led firm reported a 65.4 per cent drop in consolidated net profit at Rs 119 crore for the second quarter ended September 2018. Its net profit stood at Rs 343 crore in the same period of the previous year, according to a company statement. Total revenue came in at Rs 20,422 crore for the September quarter, which was 6.2 per cent lower than Rs 21,777 crore notched in the year-ago period. Its India revenues fell 3.6 per cent year-on-year while the Africa revenues rose 10.8 per cent. Its domestic average revenue per user (ARPU) during the quarter fell 28.8 percent to Rs 101, while Africa ARPU dropped to $3 from $3.2 last year. Bharti Airtel is a global telecommunications company with operations in 17 countries across Asia and Africa. In India, the company's product offerings include 2G, 3G and 4G wireless services, mobile commerce, fixed line services, high-speed home broadband, DTH and enterprise services, including national and international long-distance services to carriers. In the rest of the geographies, it offers 2G, 3G and 4G wireless services and mobile commerce.